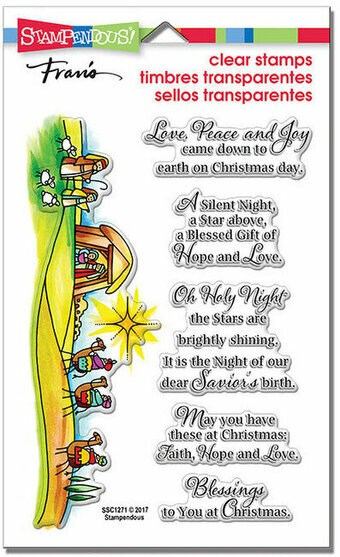 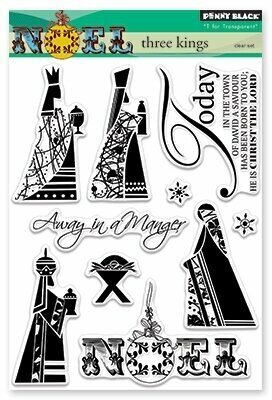 Christmas themed stamp from Art Impressions featuring a donkey, cow, rabbits and sheep gathered around baby Jesus in a manger. 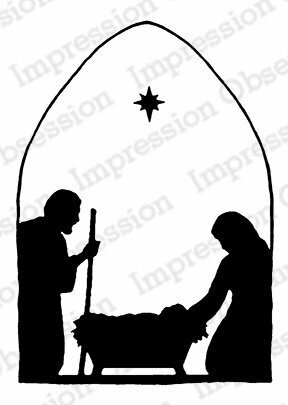 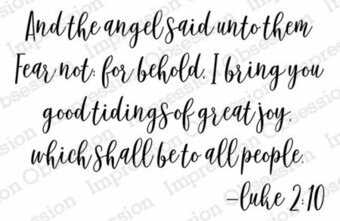 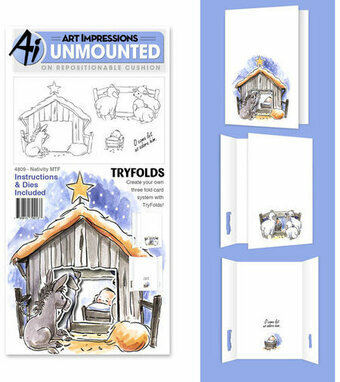 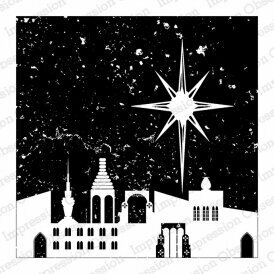 Christmas themed cling stamp from Impression Obsession featuring a Nativity scene. 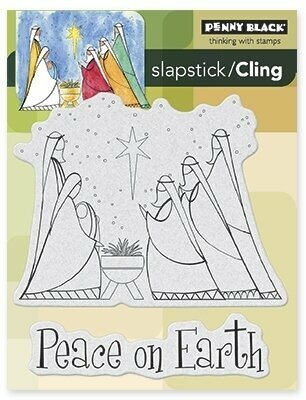 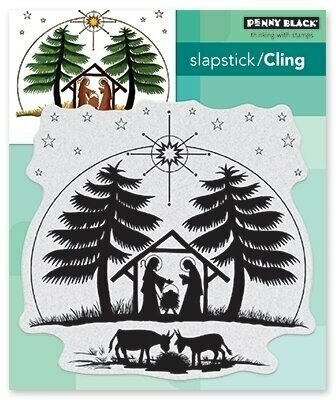 Christmas themed Penny Black slapstick cling stamp featuring a Nativity scene.